When the two notes are close together (less than about 30Hz apart) they will produce beats as described above. When the two notes are further apart (more than about 30Hz), they will begin to produce a difference tone which is audible as not just a buzzing, but as a separate note. Difference tones then actually combine with the primary notes to form the illusion of three note chords. As a result, the difference tone becomes a powerful tool for improving your intonation. By paying close attention to and tuning difference tones instead of the primary notes you will develop the skills you need to play in tune with yourself and with your orchestral colleagues. To use the bike analogy again, difference tones are your training wheels. This training will have two major positive effects. First, by sensitizing yourself to difference tones in your individual practice, you will develop muscle memory around how to adjust your piccolo so that you can play in tune with yourself (meaning you use just intonation to play arpeggiated intervals). Second, by using these skills when you play in the orchestra, you will hear the harmonic relationships which exist between your notes and your colleagues’ notes. When you hear difference tones which are not harmonically related and, therefore, not aesthetically pleasing to the ear, you will know how to adjust your instrument accordingly. Let’s give it a try. For this part, you will need a tuner that plays a reference tone chromatically at least up to B6 (written as the B just above the staff for the piccolo), and that will play loud enough for you to hear well while playing but without causing pain. The louder your tuner is, the more audible and identifiable the difference tones will be. First, let’s listen for beats. Put your tuner on A6 (this note is written as the A directly above the staff—A1760). Now, on your piccolo, play the same A. 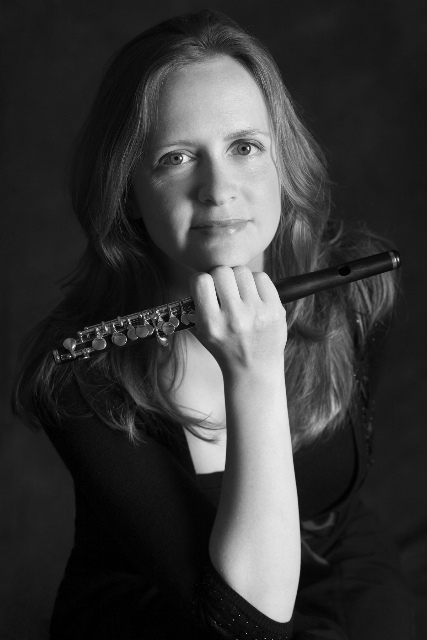 Try to move above and below the tuning note by allowing your hands to turn the piccolo, first in, then out. Listen for the beats. Notice how the buzzing speeds up as you get further away from the tuning note. Notice too how it slows down and eventually stops as you approach and arrive at a perfect unison. Now let’s listen for difference tones. Put your tuner on A6 again. On your piccolo, play the C# which is a Major 3rd above the sounding A (C# 2200). Listen closely—in addition to the two primary notes you should hear a ghostly but very distinct third tone. If you carefully tune this note, you will find that it is, in fact, A440—the difference tone (2,200Hz ­— 1,760Hz = 440 Hz). All of the twelve possible intervals within a chromatic scale produce difference tones, but six of them are particularly useful for tuning difference tones. This is because they are all members of the same harmonic series—that of the tonic. Each of these six intervals, when played in tune, will produce perfectly tuned difference tones which are also members of the same harmonic series. Now work your way through all of the intervals in the chart. Again play A6 on your tuner. 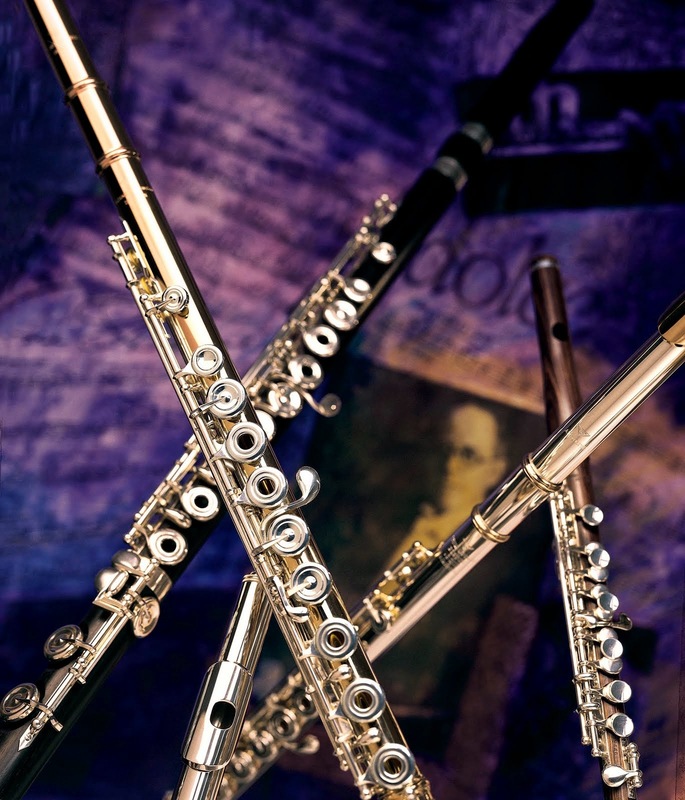 As you play each of the intervals on your piccolo, listen for the corresponding difference tone. The wonderful thing about just intonation is that is works in any key. If you do the same exercises with different tonic notes and play the same intervals on your piccolo, you will hear difference tones at the same scale degrees. This exercise can also be applied while you are working on excerpts or solo works. Identify the tonic of the passage you are working on, set your tuner to that note, and play the passage over the top of the tuning note, all-the-while paying careful attention to the difference tones that are produced. How Do I Remember All of This? This may seem like a lot to absorb, but don’t be too concerned if you can’t remember which difference tone is produced by which interval. Just use your ears and try to tune the difference tone; use the chart as a reference when you need some help hearing where the third note should be. If you look at the six intervals which produce useful difference tones, you will notice that there are two minor intervals (m3, m6), two major intervals (M3, M6), and two perfect intervals (P4, P5). Look first at Major 3rds and Perfect 5ths. These are the intervals which are probably most useful in tuning as they form the basis for the Major triad. Notice that both of these intervals will produce a difference tone of the Root. The minor intervals are opposites of each other; if you play a minor 3rd above the root you get difference tone of a minor 6th. Conversely, if you play a minor 6th above the root you get difference tone of a minor 3rd. All of the difference tones sound within the octave immediately below the root with the exception of those occurring with Major and minor 3rds. These sound within the octave which is two below the root. In addition to the above patterns, if you memorize the order of the intervals from smallest to largest you can use the following mnemonic device to help aid your memory. These six rudiments really can reveal your tuning fortitude. Just a few minutes each day with these principals will change the way you think of tuning and make all the difference in your piccolo intonation and, hopefully, in your enjoyment of the instrument.